YOUR FIRST WOD - WHAT TO EXPECT AT THE BOX! 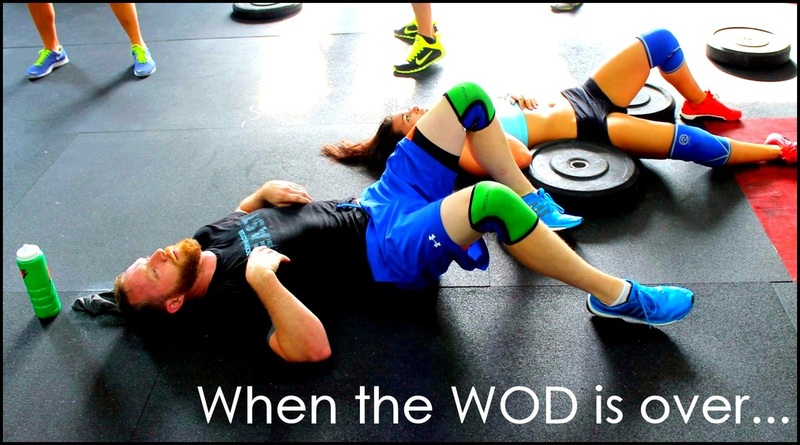 Gearing Up for your first WOD? Welcome! The WOD is short for the Workout of the Day. Soon you'll be using it as a verb AND a noun, along with a choice few other CrossFit words. 6-12 months or more before every repeating a workout. Cool, right? This is the WOD BOARD. for your workout. If you're new, everyone else will introduce themselves and welcome you! 1. WARMUP At the top of the board, you'll see the warmup. It's DIY and starts on the dot at workout time. You'll see words that are new to you - like "Starfish" and "Hollow Logs." It's cool. Just ask and you'll have them all down within a week! 2. M.O.M. After the WarmUp, we'll tackle the MOM - the Movement of the Month. This is one basic form that we all practice and hone together for 30 days. Because, y'know, practice makes permanent! 3. INSTRUCTION and SCALING Before the WOD begins, the Coach will go over each movement that makes up the day's workout. We review and demo each movement for form as a group and then scale for ability. Scaling means that for every movement there is are 1- 4 alternatives to match your fitness level and/or mobility restrictions. 4. SETUP After Instruction, we'll take a few minutes to set up everything you'll need to complete the WOD. You may set up equipment or try out the different scaling options with the Coach to see which is right for you right now. 5. THE WOD There are several different "types" of WODs. Workouts range from 7-25 minutes. AMRAP - "As Many Reps as Possible." In an AMRAP WOD, you will complete as many rounds as possible of a set series of movements in a set amount of time. FOR TIME - In a Timed WOD, you'll complete the movements on the board as quickly as you can. MAX REPS - On Strength Days, you'll work in pairs or groups to find your 1-Rep, 2-Rep, 3-Rep, or 5-Rep Max weights with weightlifting moves. 6. THE CHEERING! We Workout together and we Finish together! 7. YOUR SCORE After each WOD, your "score" will be recorded for the day on the WOD Board. This gives you an idea of how you're performing. But mainly, it's so that YOU can record your WOD performance. Each CrossFitter keeps a book at the BOX. You'll record your workout so that you can compare it to new ones as you progress. At CrossFit, you only compete against yourself! Recording your workouts will give you a real assessment of how much you're improving. 8. STRETCHING If there's time left, we'll stretch you out. We use foam rollers, LaCrosse balls, and targeted stretches to make sure your body is ready for the NEXT WOD! EVERYONE HAS A FIRST DAY. Click here to read some inspirational stories from our newest members.